Need more information about booking Home 7259043 ? Looking for the best sunset in Cavtat...? overlooks the sea and mountains.The apartment is located on the top floor of a private house and consists of two double bedrooms, a comfortable living room with a sofa which can be used as an extra sleeping area for one person, ashower room and a fully equipped kitchen/diner area. A door from the living room leads out onto aspacious terrace with outdoor furniture. The views from the apartment are breathtaking looking overthe whole Cavtat bay, islands and shore with Dubrovnik old town in the distance. If you are a family or two couples this is an ideal apartment for your holiday. 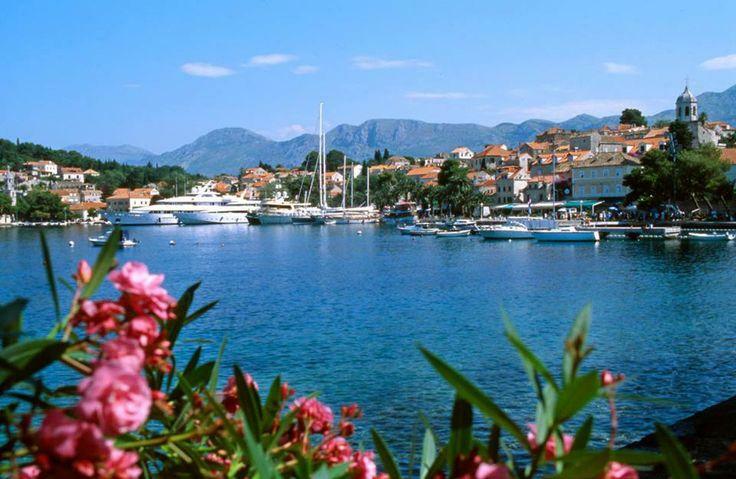 Only 5 mins walking from the apartment you will find your self in the center of old town Cavtat where you can find beautiful beaches,bars,restaurants,palm trees harbor...where you can enjoy in walking or grab a dinner or morning coffee. Only 50 meters from the apartment is a bus station where you can take bus number 10 and visit Dubrovnik . You can get in touch with Mare Blanka (the owner) through the contact form on this page. Send Mare Blanka (the owner) an email through the contact form on this page. Alternatively, if there’s a phone number on this page, you can call them. How do I contact Mare Blanka (the owner)? If you’ve already booked, go to Manage your holiday booking to view Mare Blanka the owner's contact details or send them a message. Or send Mare Blanka (the owner) an enquiry through the Contact the owner/manager form if you’d like a quote or more info first. When you pay online through the Book your stay form, a booking request is sent to Mare Blanka (the owner). You’ll find out within 24 hours whether they’ve accepted - no money will leave your account before then. You can also request a quote from Mare Blanka (the owner) through the contact form. The owner will email you the total cost for your dates and a link to book and pay online. Use the Book your stay form to pay provisionally online. You can pay by credit/debit card or PayPal. Mare Blanka (the owner) will have 24 hours to accept the booking and no money will leave your account before then. Why can't I call Mare Blanka (the owner) before booking? You’ll need to contact Mare Blanka (the owner) to do this. Send them a message in Manage your holiday booking or through the contact form on this page. You can request to change the dates or number of people on your booking via the Manage your holiday booking page. To change your holiday dates use the Edit booking button. If you need to change the number of guests staying then send Mare Blanka (the owner) a message. If Mare Blanka (the owner) agrees, they’ll send you a revised quote outlining the changes. You can review and accept/decline this from the Manage your holiday booking page. You’ll have 48 hours to take action before the revised quote expires.